Visions of Hell: STH Activities (25Jan2014) - Awareness camp held in CDC (Child Development Center) Bijoy Nagar, Naxalbari. 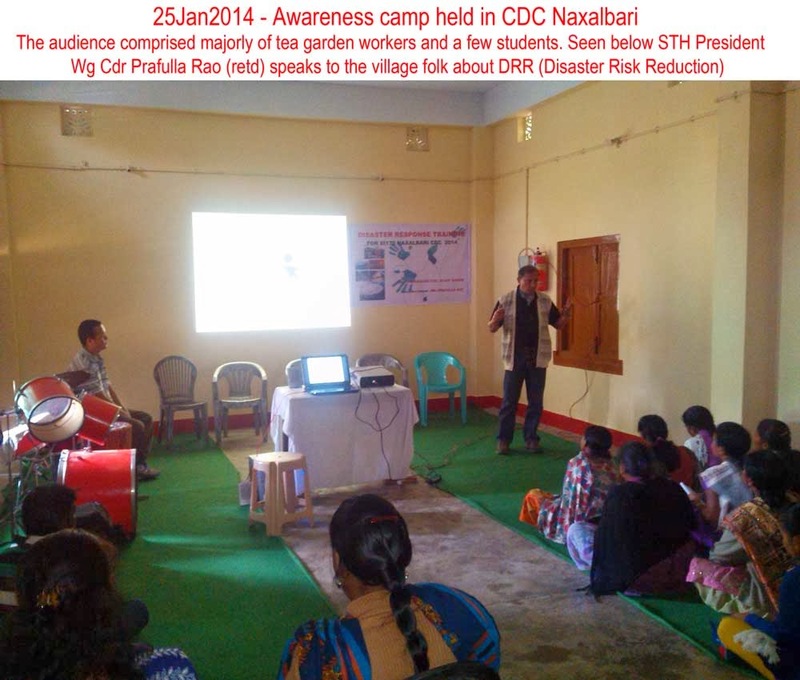 STH Activities (25Jan2014) - Awareness camp held in CDC (Child Development Center) Bijoy Nagar, Naxalbari. In an effort to raise awareness amongst the rural community of Naxalbari , STH was in Bijoy Nagar T.E at Naxalbari, North Bengal on 25Jan2014 and held an awareness camp in the CDC (Child Development Center) complex there. The 20-25 attendees consisted mainly of tea garden workers and a few students. The session was conducted in Hindi and covered DRR (Disaster Risk Reduction) and domestic fire safety. Special thanks to Mr.Amosh from Compassion for organizing the camp. Vetiver System (VS) is a concept integrating simple scientific principals of hydrology, soil mechanics, and similar natural processes to manage soil and water on a landscape scale. The concept excels best when implemented using clones of a remarkable domesticated plant – vetiver (Chrysopogon zizanioides), a non fertile, noninvasive Indian clump grass cultivated for centuries for essential oil. Vetiver is central to a wide range of applications, generally installed as narrow linear barriers (hedgerows): its roots hold soil in place and dense ground-level stems restrain sediment flows. Unlike “hard” engineering approaches that weaken over the time, VS grows stronger. It is a renewal of a traditional approach that has been validated scientifically. • Renewable natural fibre for handicraft production, mulch, and thatch, etc. Vetiver is now accepted as an important tool and low cost technology for stabilization of steep slopes and batters. Therefore it can be used for Mine site rehabilitation, steep slopes associated with bunds, tailings, dams and other water management structures and revegetation of mine tailings. We are Consultants / Suppliers / Contractors for: Medicinal /Aromatic / Agriculture / Horticulture / Forestry crops. We provide technical knowhow and supply planting materials.